Some of our most recent custom furniture and installation projects. A set of two satin black & walnut and two white & white oak rolling break room tables with locking casters, also built for Umpqua Bank. 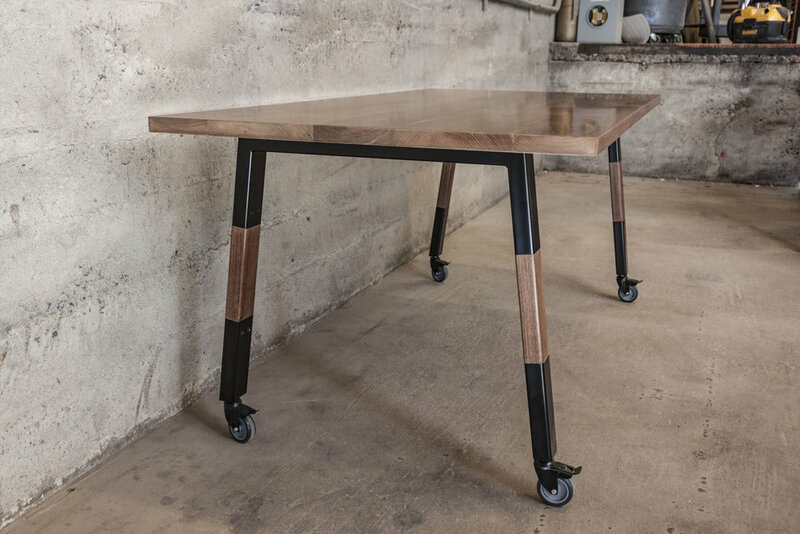 A walnut and steel conference table built for Umpqua Bank that features a custom built sliding power and accessory module that can be moved along the center of the table on two anodized aluminum rails. A large 132 x 42" dining table for a local residence featuring an ebonized white oak top and cruciform legs. 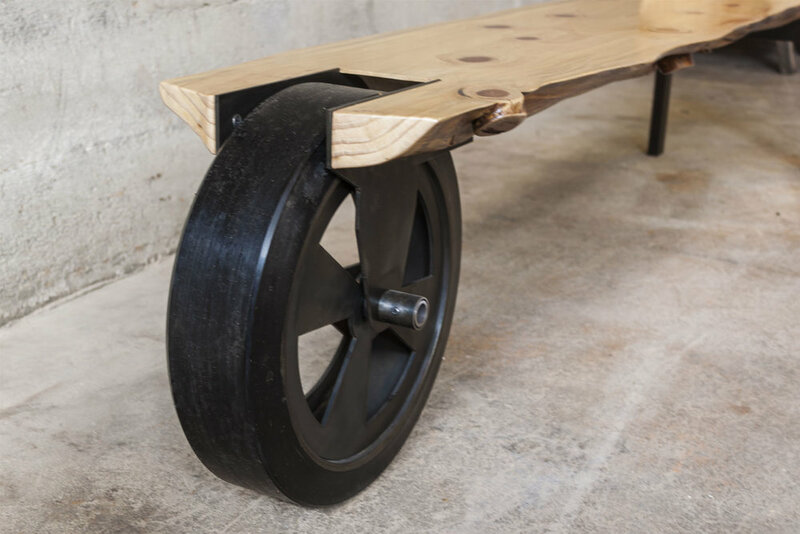 This bench was made from a live edge cedar slab with blackened steel frame and features one oversized wheel up front with handles in back - designed to be easily wheeled from A to B by a single person. 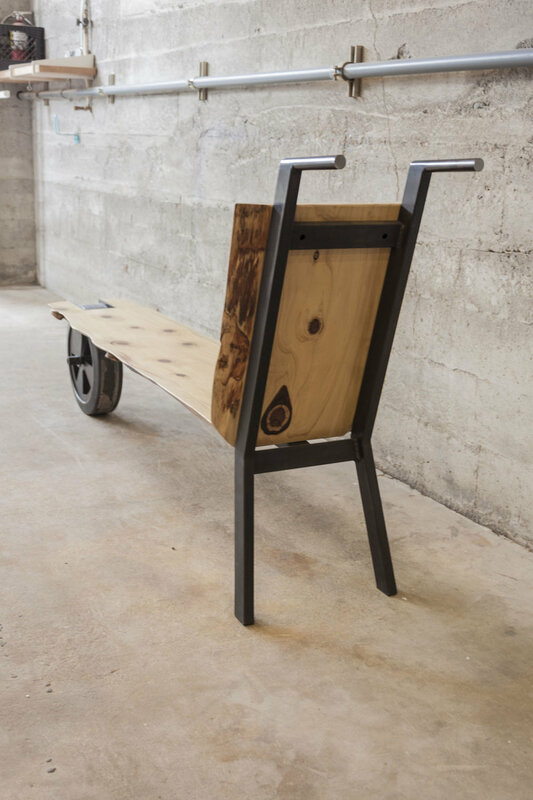 A conference table designed and built for REI Seattle. 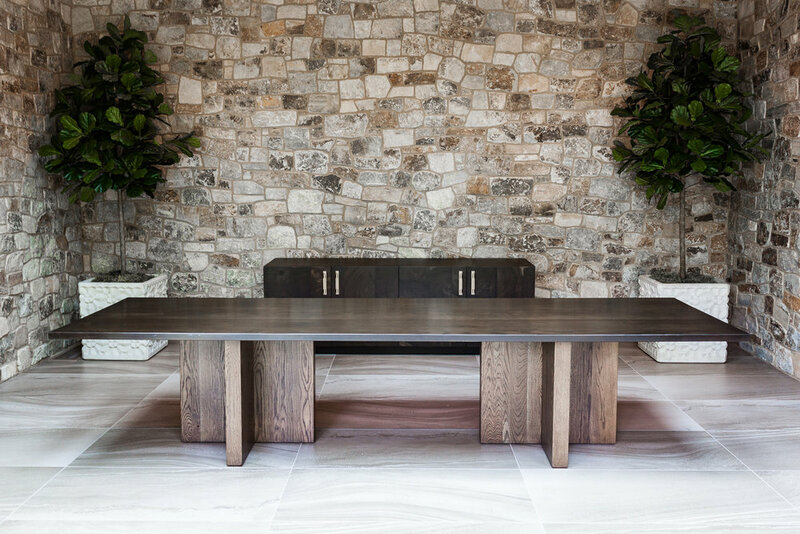 The cedar slabs use facing live edges to create a canyon like effect that runs the length of the table and are supported on either end by two large inset steel beams. 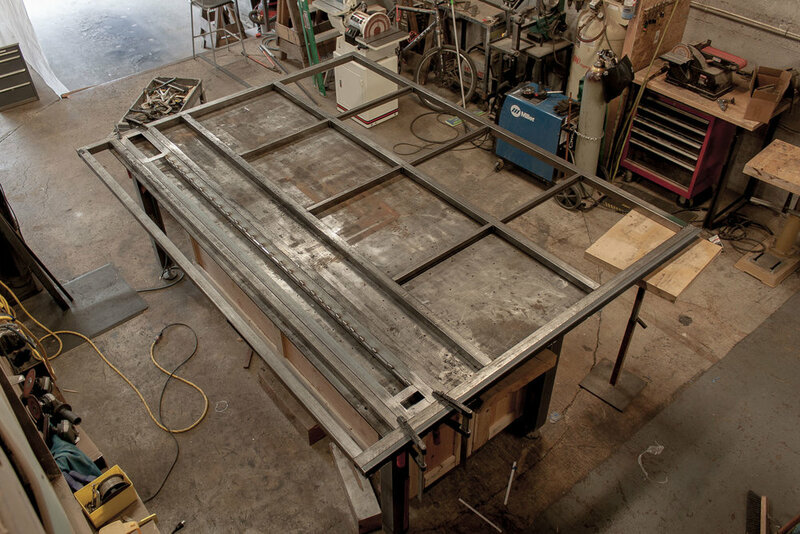 A gargantuan blackened steel pocket door with brass details measuring just over 10 x 7 feet with polished inset handles that was fabricated for a home on the Oregon coast. A collection of seating made for the Matchbox restaurant in Sawgrassmill, Florida. 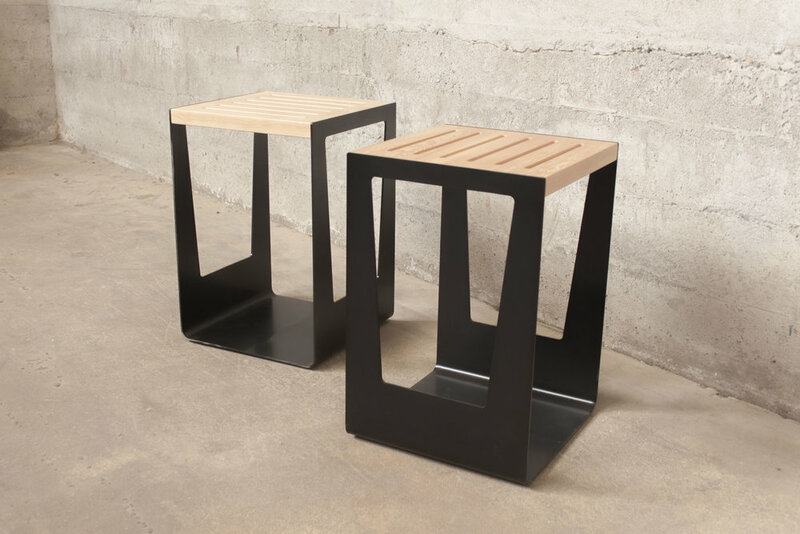 Includes a set of suspended benches made from reclaimed fir and customized versions of our Giddyup and 9-bit stools. This custom version of our classic 10x42 bench was designed to include a back rest at the customer's request and was cut from a single massive slab of Walnut. 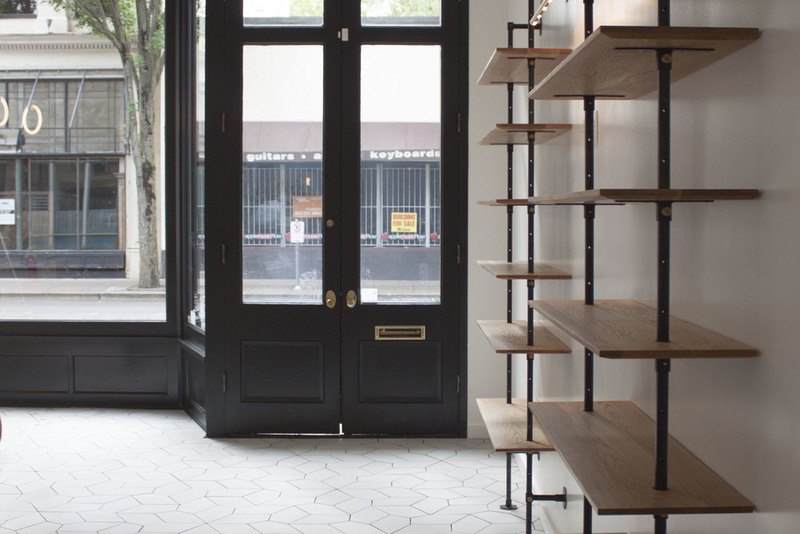 Greenhouse display cases and our new adjustable shelving made from white oak and blackened steel with brass details for local dispensary Serra. 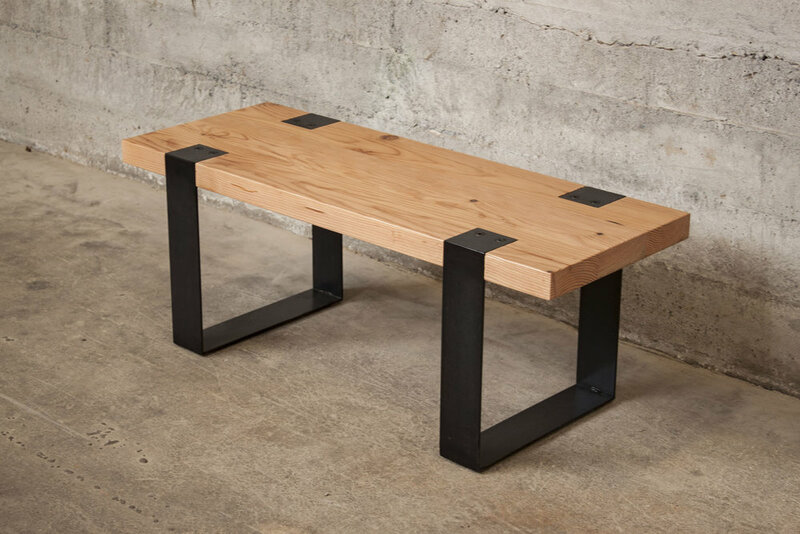 THE PORTLAND BENCH - Designed for use on the Portland Modern Home Tour. This behemoth of reclaimed Cedar and rectangular steel tubing seems to be extruded from the historic timbers on which this city was built. 14 person conference table made for the Aspen Music Festival & School. Made from reclaimed Douglas Fir and Walnut. 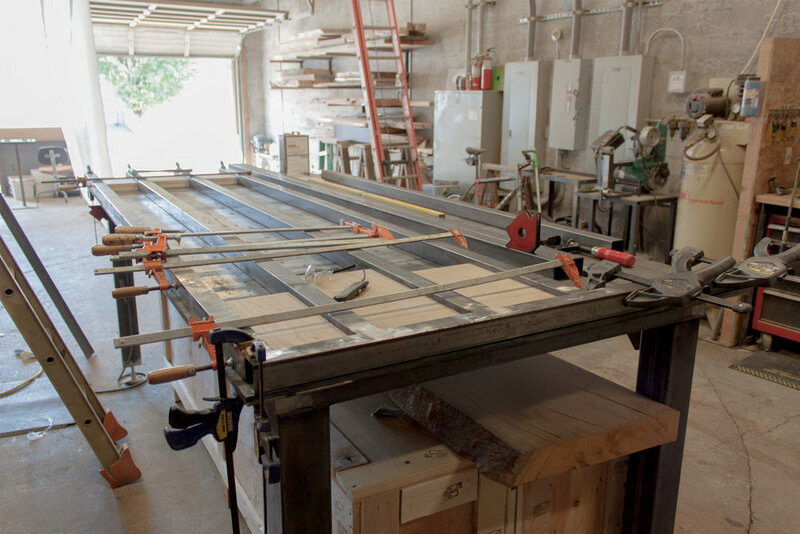 A skeletal laser cut steel frame and blackened steel panels complete the table.